In 1938, Lily Ren e Wilheim is a 14-year-old Jewish girl living in Vienna. Her days are filled with art and ballet. Then the Nazis march into Austria, and Lily's life is shattered overnight. Suddenly, her own country is no longer safe for her or her family. To survive, Lily leaves her parents behind and travels alone to England. 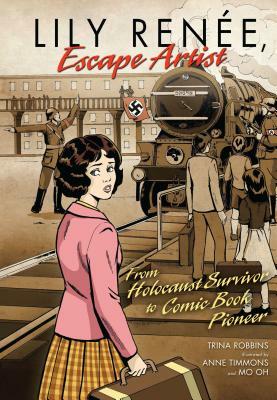 Escaping the Nazis is only the start of Lily's journey. She must escape many more times--from servitude, hardship, and danger. Will she find a way to have her own sort of revenge on the Nazis? Follow the story of a brave girl who becomes an artist of heroes and a true pioneer in comic books.